We get these questions all the time! What all do I need to buy an adjustable keyboard tray? This is so confusing, where do I start? 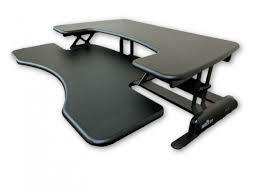 I want a keyboard tray, why do I need a keyboard arm? I have a cubicle with a corner, L-shaped worksurface. What options do I have to buy a keyboard tray? We decided to write a blog that will provide a guide about where to start with Workrite keyboards and accessories. First and foremost, start with the shape of your worksurface. Having determined your worksurface, you have two options; you can choose from Workrite’s pre-configured keyboard systems or build your own keyboard system by combining various elements of your choice as long as they are mutually compatible. 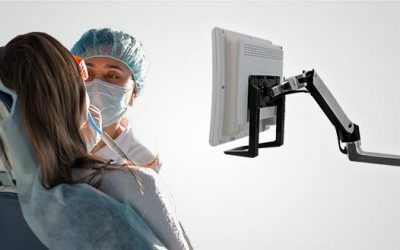 A keyboard system allows you to install a keyboard tray – a tray to hold your keyboard and mouse – underneath your desk so your typing zone is close to your thigh and your elbows are at an ergonomically healthy 90-100 degrees angle. 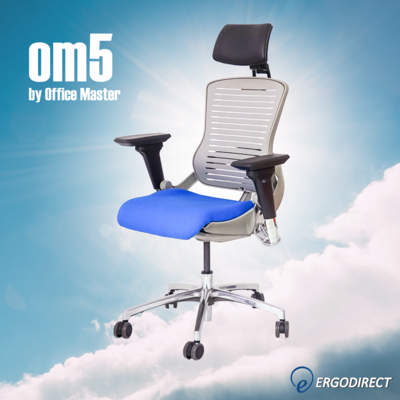 This angle will relax your shoulders and neck and keep them relaxed throughout prolonged typing and working. 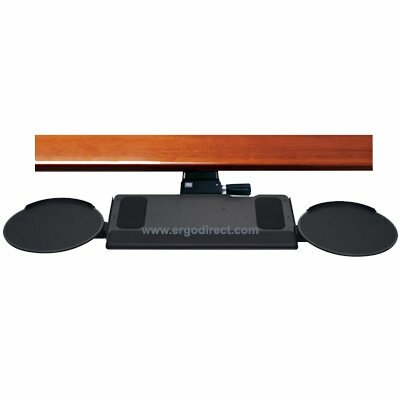 Keyboard trays – These trays are the platforms that hold the keyboard as well as mouse. Keyboard Arms – Arms impart adjustability to the keyboard tray – either stow them away after use, raise them above worksurface to stand and work or rotate them for a colleague to type. The arm attaches the tray to the track and slides back and forth inside the track. Tracks – Generally a rectangular metal track, usually 6”- 8” wide and 17”- 22” long, in installed underneath the desktop to accommodate the keyboard arm and make the tray movable. You can use the table below if you want to buy a Workrite pre-configured system. Please take note of the tilt and total height adjustability you need above and underneath the worksurface. If you wish to build a keyboard system on your own by choosing the keyboard tray, track and keyboard arm individually, here’s what you can do. Select a keyboard tray Note, this is completely a matter of personal preference as it has to do with the layout and size of the tray. Regular Pinnacle 2 uses a smooth-ball bearing track which is easier to slide in and out. Pinnacle 2 (Budget Arms (Value)) are slightly lower price and use a nylon track which “catches” a little bit more. While this may seem like a drawback, some users actually prefer it as the resistance also means that you won’t bump it and have the entire keyboard tray sliding in/out. Pinnacle 2 Extended has slightly more height adjustment (see below image) and has a slightly longer arm allowing the keyboard tray to be positioned further away from the end of the track (useful in some corner desks if a corner solution is not used). Pinnacle AD, S2S, and Gemini Series arms are sit-stand arms that are able to go above the height of the track. If you need additional information on arms with capability for sit-stand, please let me know. 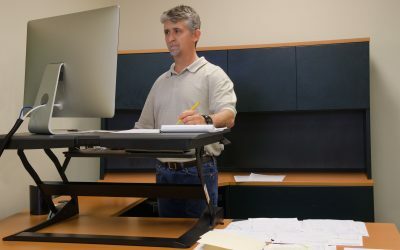 Fixed Mount arms are intended for sit-stand desks are mounted directly to the desk and cannot slide in/out as they do not use a track. Track length will vary. The longer the track the further the keyboard tray can be stowed in underneath the desk. To determine the track length you would need to know how much free space there is from the front of the desk to the back of the desktop along the path where the keyboard system would slide in/out. This is measured on the underside and needs to be completely even surface. If there is an obstruction such as a crossbar, you would need to stop measuring. Corner solution – there are a few different corner solutions available. On each keyboard tray page there is usually a desk compatibility drawing that shows you if they work with your corner desk and otherwise what adapter would be required to mount (see example below). Here’s a table giving the full list of keyboard trays and compatible components in order for you to build an entire keyboard system. Please send us an email or call us at 888-456-ERGO if you need help with keyboard tray selection.